Russia launched a Soyuz-2-1a rocket from Baikonur Cosmodrome in Kazakhstan on Thursday, successfully sending the Progress MS-11 cargo ship on its way to the International Space Station, ISS. 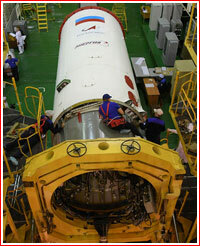 The liftoff took place as scheduled at 14:01 Moscow Time, 7:01 a.m. EDT. The spacecraft then began a two-orbit rendezvous profile, which resulted in docking with the station in three hours 22 minutes after liftoff, which was the shortest trip for the ISS program to date, but not a record-breaking docking mission in the history of space flight. According to information released by Roskosmos on the day of the launch, the cargo totaling more than 2.5 tons aboard Progress MS-11 included 1.4 tons of dry cargo, 900 kilograms of fuel, 420 kilograms of water in the Rodnik system and 47 kilograms of compressed air. Payloads carried on Progress MS-11 included equipment for several life science experiments, including Bioplenka, Konstanta-2, Produtsent, Mikrovir, Struktura, Biodegradatsiya and Kristallizator. The spacecraft also carried the Faza vessel for growing water plants and the associated lighting system for the Ryaska educational experiment. According to RKK Energia, it will be the first attempt to demonstrate reaction of gravitational and photo-sensitive organs of the plants to the changing external conditions. The daily photo-imaging conducted during the experiment will be used to prepare educational materials for biology classes at college and school level. Among non-standard cargo, GKNPTs Khrunichev announced in November 2018 the planned delivery of four low-noise air fans with dust collectors, along with 48 spare dust filters. The new device, intended for installation inside the FGB Zarya module built at GKNPTs Khrunichev, promised to reduce noise and improve air quality aboard the station. According to the company, it was a part of a wider upgrade work recommended by the international working group looking for ways to reduce noise aboard the station. At the time, a total of eight air fans with specially profiled blades were expected to be delivered to the ISS to replace all old fans aboard the FGB Zarya module. Also, the official TASS news agency broke the story that Russian cosmonaut Oleg Kononenko working aboard the ISS since December 2018 would also get his late New Year's gifts with Progress MS-11 to replace a bag of his favorite candy, which was destroyed during the aborted launch of the Soyuz MS-10 spacecraft in October 2018, probably because it had been stored in the expendable Habitation Module. Why Kononenko's presents were not sent to him before the New Year with Progress MS-10 or Soyuz MS-12, remained unexplained. In March 2019, RIA Novosti quoted a food expert at the Institute of Medical and Biological Problems of Space flight, IMBP, in Moscow, who listed oatmeal porridge, garlic and cottage cheese with fruits and peanuts among exotic food items in the ship's cargo. Progress MS-11 is being installed inside its test ring on March 22, 2019, after the completion of fueling operations. As of 2014, the launch of Progress MS-11 was scheduled for April 16, 2018, but the mission was eventually postponed to February 8, 2019. 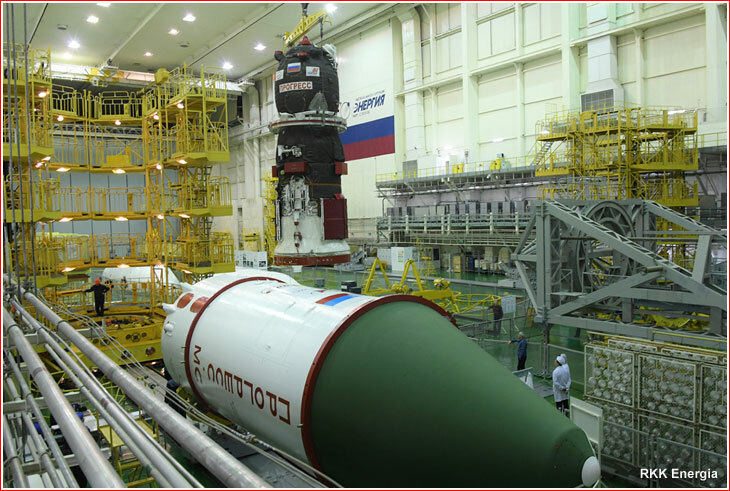 In the meantime, the assembly of the spacecraft at RKK Energia's plant, ZEM, in Korolev near Moscow was completed in September 2018. After its delivery to Baikonur, Progress MS-11 was unloaded from its rail container and installed in its test rig for initial checks on September 12, 2018. In the wake of the air leak incident aboard the Soyuz MS-09 spacecraft in orbit in August 2018, Progress MS-11 underwent an additional inspection. 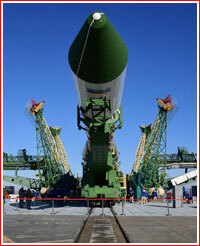 The cargo ship was then put in storage until the start of its launch campaign in November 2018. In the fall of 2018, the mission was rescheduled from February 7 to February 8, 2019. The launch vehicle for the mission arrived at Baikonur around the middle of October 2018 and the spacecraft itself was shipped to the launch site in the middle of December 2018. 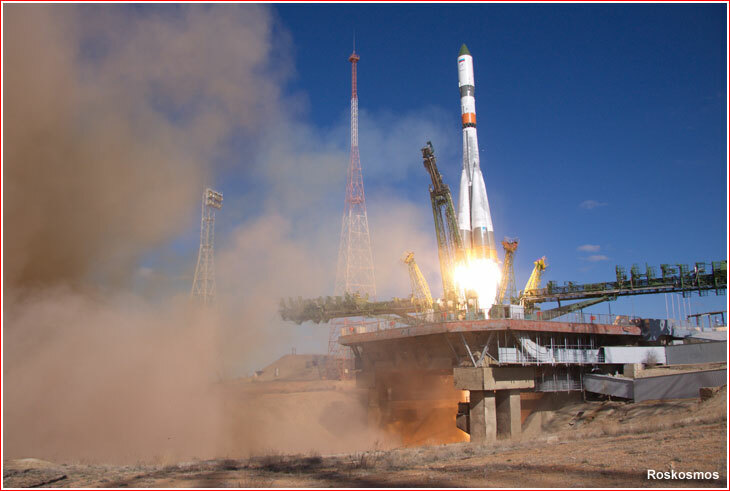 In November 2018, delays with the launch of the EgyptSat-A spacecraft created a schedule conflict at Site 31 in Baikonur and required the postponement of the launch of Progress MS-11 to March 28, 2019, the Kommersant newspaper reported. 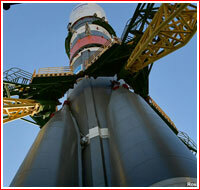 At the beginning of January 2019, RIA Novosti reported that the launch had been pushed from March 28 to April 4, for an unexplained reason. 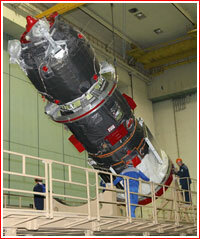 On March 19, the technical management of the mission gave the green light to the loading of Progress MS-11 with propellant components and pressurized gases. 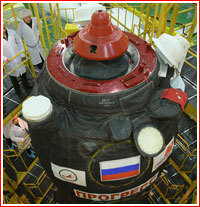 The fueling operations were conducted from March 21 to 22 and on March 22, the spacecraft was delivered back to its processing facility at Site 254 for closeout operations. On March 28, specialists from RKK Energia completed the installation of the cargo ship on its launch vehicle adapter, the company announced. Next day, the team conducted the final visual inspection of the spacecraft and then rolled the vehicle inside of its payload fairing, which will protect it during the ascent. 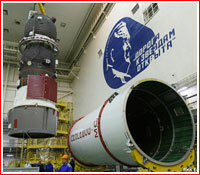 On March 30, the payload section was transported to the launch vehicle assembly building at Site 31 and the next day, it was integrated with its Soyuz-2-1a rocket. The meeting of the technical management then reviewed the readiness for flight and approved the rollout of the rocket to the launch pad. 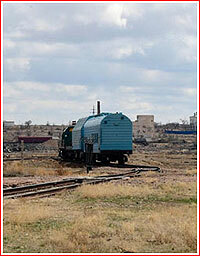 The Soyuz-2-1a launch vehicle with Progress MS-11 arrived at the launch pad at Site 31 on the morning of April 1. A Soyuz-2-1a rocket rocket carrying the Progress MS-11 cargo ship lifted off from Site 31 in Baikonur toward the International Space Station, ISS, on April 4, 2019, near scheduled time at 14:01:34.264 Moscow Time (7:01 a.m. EDT, 11:01 UTC). 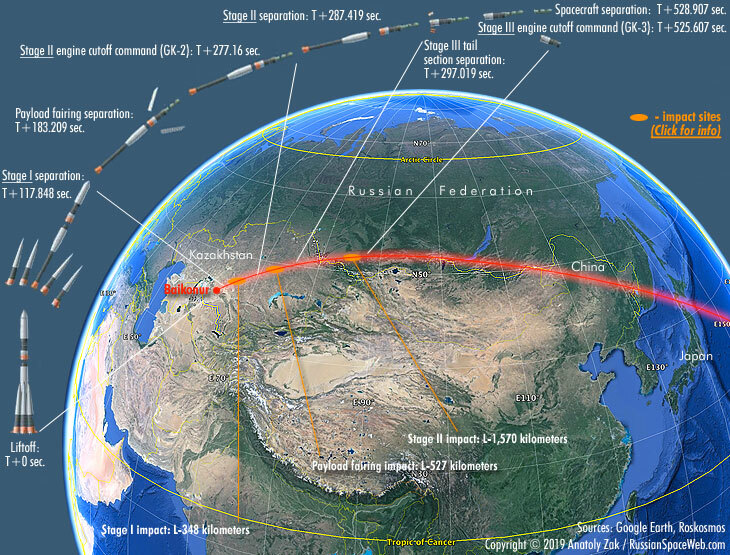 Progress MS-11 was expected to follow a record-breaking two-orbit rendezvous profile with the station and berth at the nadir (Earth-facing) docking port on the SO1 Pirs Docking Compartment, a part of the Russian Segment of the ISS, at 17:25 Moscow Time (10:25 a.m. EDT), or just 3 hours 24 minutes after liftoff from Baikonur. The first maneuver with the cargo ship's main engine was scheduled around 28 minutes after reaching orbit, according to NASA. During all the maneuvers of rendezvous and docking, the spacecraft used the fully automated Kurs rendezvous system, but during the final approach, Russian cosmonauts Oleg Kononenko and Aleksei Ovchinin were at the controls of the remotely operated system, TORU, inside the Zvezda Service Module, SM, which allows manually guiding the spacecraft in case of any problem with Kurs. However, the automated systems worked as planned and the cargo ship reached the station around 2.5 minutes ahead of schedule, making physical contact with the Pirs Docking Compartment at 17:22:26 Moscow Time (10:22 a.m. EDT) and the mechanical capture confirmed a second later on April 4, 2019. At the time, the two spacecraft were overflying Central China on the night side of the planet. It was the shortest trip from Earth to an orbital docking in the flight history of the ISS program, paving the way to employing the same rendezvous profile during future Soyuz-MS flights to the ISS with crews onboard. Progress MS-11 is scheduled to remain docked at the station for 116 days and will depart at the end of July 2019 for a destructive plunge in the Earth's atmosphere.